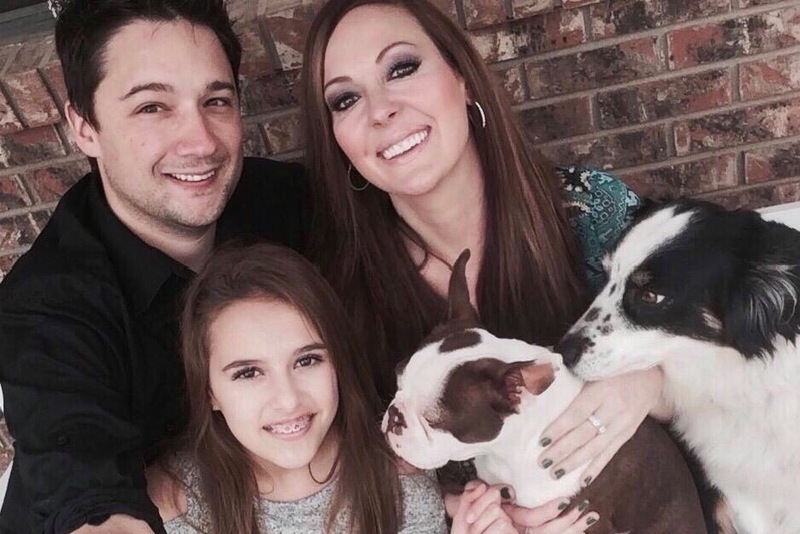 Fundraiser for Rachel Hinde-Constantino by Kevin Reay : Police Officer Fighting Brain Tumor - Randy C.
On April 12, 2019, the Salina Police Department was hit with the news that one of our own, Randy Constantino (Badge #879), has a very large, and life threatening, brain tumor. Doctors believe it is one of two kinds; either Astrocytoma or Acoustic Neuroma. Our understanding is they will not know which until they do surgery, which will need to take place as soon as possible. If the surgery is successful, Randy is looking at a long road to recovery. He has been told the absolute soonest that he will be able to return to work is 2020. 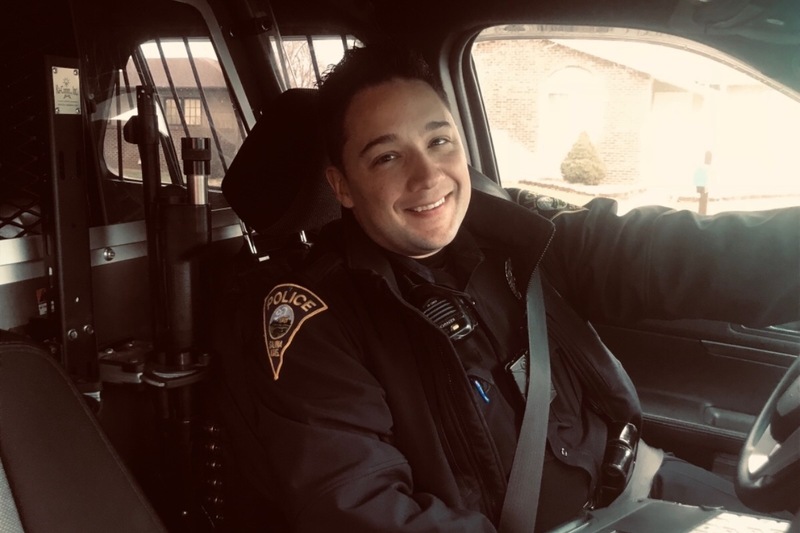 Randy is an 8 year veteran of the department, currently working in patrol as a Field Training Officer. He is also a SWAT Negotiator and part of the specialized Bike Patrol. He is one of the best people I know and was one person who continually checked on me and offered assistance to me in my own personal time of crisis. Please join me in helping relieve some of the financial stress that comes along with receiving terrible news such as this. Contributions will be used to cover medical and travel expenses for Randy and his family as they anticipate making many trips to Mayo Clinic in Rochester, Minnesota over the next several days, weeks, and months to get the best medical care possible. Randy and Rachel would like everyone to know that their faith in God is helping them and their family get through this difficult time, and any prayers are appreciated. We've had good and bad news today. The good news is the doctors at KU think it's benign and is an acoustic neuroma based on location, characteristics, and size, however they still will not know until surgery. Because it's so large they will have to do two surgeries. The bad news is that they do not think he has a chance of hearing and will have facial paralysis on one side. The doctor said there is a 5-10 percent chance of a stroke during surgery or brain fluid leak. They are in good spirits and are currently on their way to Mayo Clinic to meet with four additional doctors. They would like to thank everyone for the overwhelming support and prayers. Brain tumor. That's a scary word when you're first told the news. Confusion of what exactly that means for me, my family, my career, my life enters the mind. Especially when you're first told it could be cancerous or benign. You would think there would be some crazy realization about life or some spiritual awakening I would share with you, but I can tell you I've not felt absolute devastation or hopelessness, and I attribute that to one thing, God. My faith in the Lord has truly helped me feel a calmness through this that cannot be explained. I was prepared to hear news ranging from the absolute worst to the best. Knowing that Jesus died to forgive our sins and that the worst outcome would be in heaven praising God is not a bad outcome at all. "For to me, to live is CHRIST and to die is GAIN." Phillipans 1:21. Of course I was sad thinking of my wife and family not having me in their life, but I knew I would be taken care of. By truly believing this and feeling this has allowed me to stay in good spirits through it all. I also believe all the prayer and well wishes have kept me lifted both spiritually and mentally by seeing all of the outpouring of support. When Kevin R. approached me about a GoFundMe account, I had not even thought about the financial repercussions of such a diagnosis. The more I thought about living off of one income once my sick time runs out, and the long stays at Rochester, Minnesota visiting Mayo Clinic, it made sense. I felt very vulnerable to open myself up to accepting financial help from family, friends, and strangers. Seeing what was done both financially and along with prayer is so amazing it's indescribable. That leads me to the diagnosis. We have seen an array of doctors, specialists and surgeons both at KU Med and Mayo. They have all agreed to some certainty or another that the tumor is an Acoustic Neuroma. That means that it is benign and survivable, but we won't know for sure until it's studied after being removed. They are all impressed at its size and are amazed I can hear and walk due to balance complications this location of tumor causes. 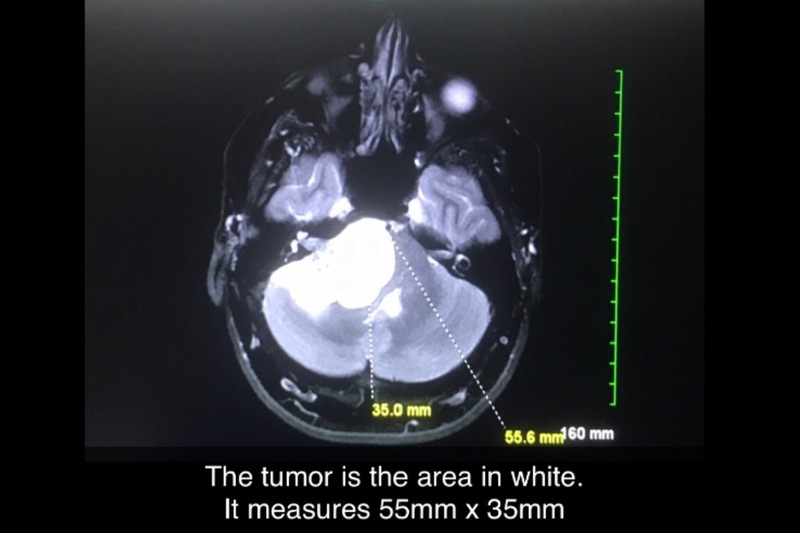 They believe the tumor started in the brain and could have been there for years, but there is no way of knowing. They state removing the tumor will permanently damage/ destroy the right ear, and I will lose hearing for the rest of my life along with some facial control on the right side. This is a small price to pay to remain on this planet. Surgery will be all day tomorrow, and if I make it through,I promise to keep this good and positive attitude to make it through rehab. We hope that I can be back to operating in my full capacity in 4, 5, 6 months rather than 8+. The money raised will be used for the best care, and if that results in a quick recovery, my wife and I plan on finding a cause or two, or three, to donate the remainder of the funds to. My wife Rachel and I are so grateful for this gift. We are filled with hope for the future as there is one less burden to think of. As a side note, I've had a few people text me and say they don't normally pray, but they were going to start or try on my behalf. This brings me joy beyond belief. If someone can become closer with God because of what I've gone through, then it's easy to see the reason of why I had to go through having a brain tumor. That is a very small price to pay to possibly save a soul. Jesus loves, and so have all of you.